When devout Catholics visit Rome, there are seven so called Pilgrimage churches to visit. 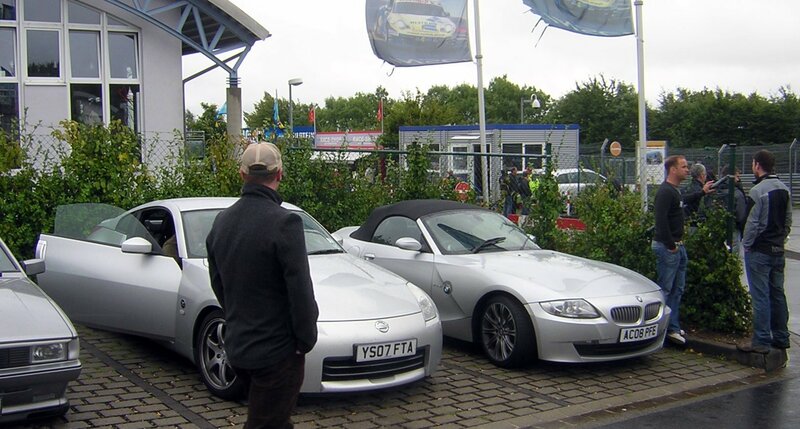 If there were seven pilgrimage sites in motorsport, let there be no doubt the Nurburgring Nordschleiffe would be one. The Nurburgring was a built in the twenties as part of a large government sponsored building project implemented in a rural, undeveloped part of Germany to provide work and economic stimulus. In France and Italy, motor racing could take place on closed public roads. In Britain and Germany this was not legally possible, and the Nurburgring was designed to emulate the challenge of racing on the road. The Nordschleiffe has around 200 corners, and winds through dense forest with a total length of fourteen miles. In the eighty years since it opened, cars have changed beyond recognition, but the circuit remains a supreme challenge for man and machine. It’s not just the length, it’s the character; long, fast, sweeping sections end in unexpected slow turns; many parts of the circuit look the same, so it is easy to forget where you are; often one corner will immediately lead into a second slower one; it has been designed to catch you, and the car, out, and there isn’t likely to be any runoff area if you have got it wrong. Often, it rains. The dampness hangs between the trees. Indeed, parts of the circuit can be wet whilst others are dry. Motor sport has always been about competition with others, but also the course, and one’s own fears – no other circuit open today delivers this challenge like the Nordschleiffe. First the Germans, next the Japanese, and recently even US car manufacturers have developed road cars there; it seems the German forest still provides better real world feedback than computer simulations alone can. Today, the circuit is a one way toll road. It being Germany, there isn’t a speed limit. So you buy a ticket, and drive round. With other members of the public. If that sounds a bit frightening, it should, and I was afraid. 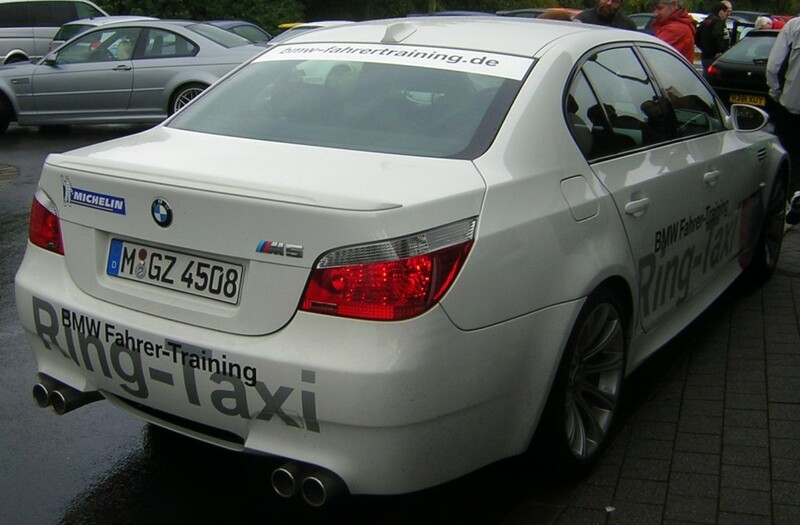 For some years BMW have run a loss leading marketing program at the Circuit, known as the Ring Taxi. 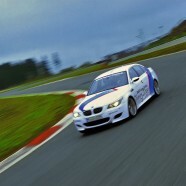 BMW provide M5s, a competent chauffeur, and the experience is the fastest way most people will ever lap the track. This translates to you and two mates sat in a four door middleweight sedan which looks and feels similar to a million others currently appearing on a motorway near you, but doing speeds you would expect only to do in a brain out moment on a sportsbike or on the runway at Heathrow. My first non-Play Station lap was aboard the Ring Taxi; I can highly recommend this. Our driver, Fritz, was an ex-DTM driver, who has done “more than a thousand laps” of the track, on two and four wheels. He had a laconic manner, and perfect, Germanicized English. We may have been nervous about the on and off rain, and the two trashed 911s on wrecker trucks in the paddock, but Fritz was unphased. Away from the toll booth, Fritz pushed the M button on the wheel, giving the M5 it’s full 507hp, set the wipers on double speed, and helped me adjust my passenger seat heater settings, as the M5 built beyond 150mph. Noticeable to me was that despite his skill and his 1000 laps, Fritz had been caught by surprise. Nor was it only me who was apprehensive; no-one in the group wanted to ride with me, as I began my first solo lap. The experience is nothing like driving on the road – the lack of on-coming traffic, and breadth of the course ensures that, however it is also nothing like other tracks I have driven due to the sheer length and challenge. I had done a few dozen practice laps on a Play Station I bought especially for the purpose (my wife was appalled, and decided she was a Play Station widow after coming home from a weekend away and finding a feedback steering wheel and pedals attached to the coffee table), the idea being that I had some idea where the track went over the next brow. The standout from these sessions was that even in the very slowest cars ( e.g a Corsa 1 litre, even a 30hp Diahatsu pick up) I was able to have obvious “you’re not walking away from that one” prangs. Sections on the game which are flat ( i.e. pedal to the metal ) most certainly are not in real life – not just for me with my small gonads, Fritz also confirmed this. Overall, the feeling of space and the flowing nature of the course means it is easy to gather too much speed. My intention was to go out and have a sighting lap; regenmeister I am not. The experience with Fritz had been sobering. As I left the toll booth, I noticed they have a map of the circuit showing where yellow flags are being waved – this is the international motor-racing symbol for a section where there has been an incident, and you should go slow. At no point in the day, when I looked at it, was the course incident free. Infact on each of the 3 laps I did, I saw someone who had had a little spin, or slide off into the barrier. I am sure this was only because conditions were wet, and none of the incidents I saw were serious – the only injuries were clearly going to be to wallets and pride. The idea is that slower traffic stays right, so others can pass on the left, and in practice this works quite well. I was surprised to come upon people even on my initial lap. I daresay the Playstation laps were paying dividends. I did have a moment of unexpected understeer – I knew it was coming ( Fritz had said it would come, and the M5 had understeered at least 5 feet) but it was much worse than I expected; another in the group had an exciting and wholly unexpected Dukes of Hazzard style tail slide at quite high speed, the take away being that the traction control allowed more leeway than expected…. Second time around, I had more confidence, in that I knew where I could use full throttle, but also less in that I was beginning to realize how much easier it was to get caught out than I had anticipated. In a front drive car, in many of the turns you can be hard in the gas long before the apex of the turn, and none more so than the Karrussel. The banked section was originally for drainage; however, Rudulf Carraciolla, Mercedes-Benz #1 Grand Prix driver for much of the 30s, showed you could lap faster driving on the part of the track designed for drainage, and this line has since become part of Ring lore. 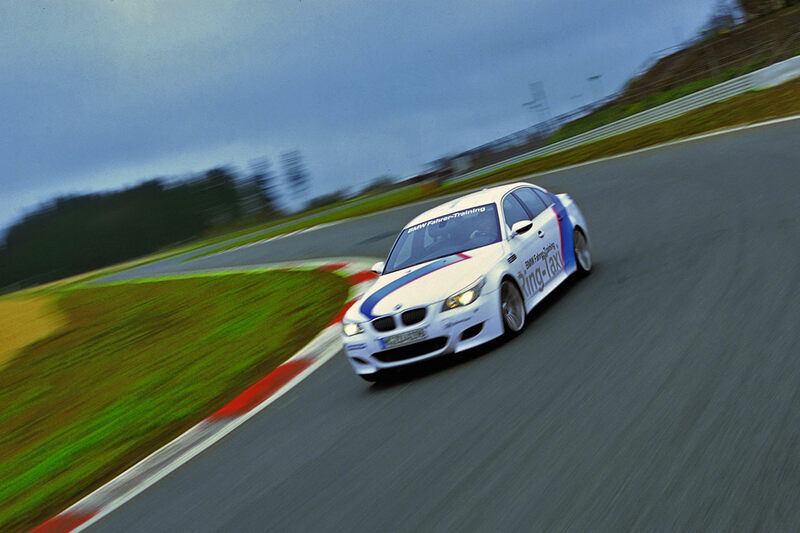 The knack is enter slowly, find the groove and then you can accelerate pretty aggressively throughout the turn – I had the Alfa Brera I was using understeering out of the guttering in a most satisfying way. And no unexpected moments, either. So much for just driving around. The next step – practicing, learning lines, working out how to be smoother – requires other visits. There are local companies which rent cars set up specifically for the ring; I also have a hankering to do a lap or two on a sportsbike. More to follow…..
It’s awalys a pleasure to hear from someone with expertise.